Asia After Dark - June 2012 Cultural Events in D.C.
D.C. offers up so many chances to expand your cultural horizons during the summer, it can be a little overwhelming. But how lucky are we to live in a city where staycations ring in a really close second to jetting off to an exotic locale? Plus, exploring the District means you can skip the TSA pat-down and the lack of leg room in coach. And fortunately, one of our favorite wanderlust-inspired happenings is coming up soon, and you can (and should) scoop tickets now. 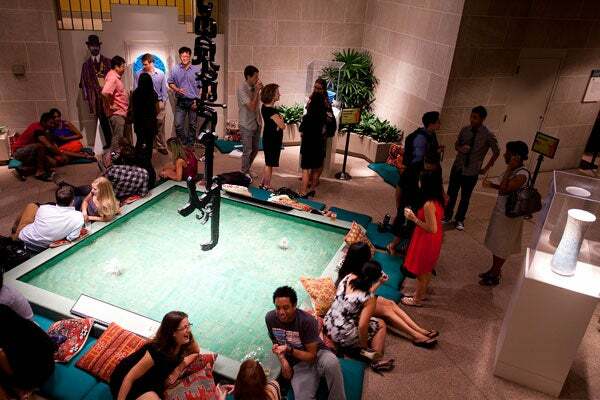 The Freer and Sackler Galleries' Asia After Dark soirees are always packed with culture, but they also feel like a good, old-fashioned party. The theme for the June 2 event is an Afro-Asiatic mash-up, so expect traditional Japanese dance performances, theater, and storytelling, all set to hip-hop music. Your $25 ticket includes a complimentary cocktail and tasty Japanese -usion bites. Oh, and in between imbibing and observing, be sure to pop into the photo booth — it's the perfect way to document your most memorable staycation moments, after all. Where: Arthur M. Sackler Gallery and Enid A. Haupt Garden, 1050 Independence Avenue SW; 202-633-1000.